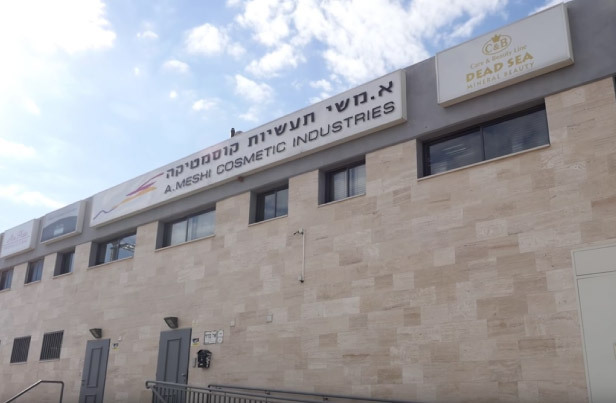 A. Meshi Cosmetic Industries Ltd., established in Israel in 1993, is dedicated to the development, production and marketing of a wide range of cosmetic products sold under the Mon Platin brand name. Mon Platin products have won many professional competitions and industry awards. Our plant follows the GMP cosmetics standard ISO 22716 and implements the strictest regulation for production of cosmetics products, ensuring that the client enjoys the highest standards in the world. Our products hold a Dead Sea products quality certificate granted by the Manufacturers´ Association of Israel. The plant is situated in the central Israeli city of Bat Yam, on an area of about 6000 square meters and is equipped with the most advanced technology in the industry. The plant includes an in house research and development lab where innovative products are developed at the highest quality to suit the needs of our clients, market demands and current and future trends. The plant produces facial, body and hair care products, each individually suited for women, men, babies, or for specific needs such as anti-aging treatments, psoriasis, maintaining the skin´s gentle balance, professional hair treatments and trendy hair designs for all hair types, and more. The plant´s quality assurance and quality control departments ensure that our clients enjoy a high quality user experience, with products that have successfully passed all necessary internal and external lab tests prior to leaving the plant. Our plant holds frequent professional training sessions for its employees on a range of topics including quality control, quality assurance, safety and more, so as to ensure that all production, filling and packaging processes are implemented at the highest quality level. Extensive resources, innovative thought and years of experience are invested on a daily basis to provide the best solutions for our clients, ensuring that they can enjoy the most innovative, high quality products.